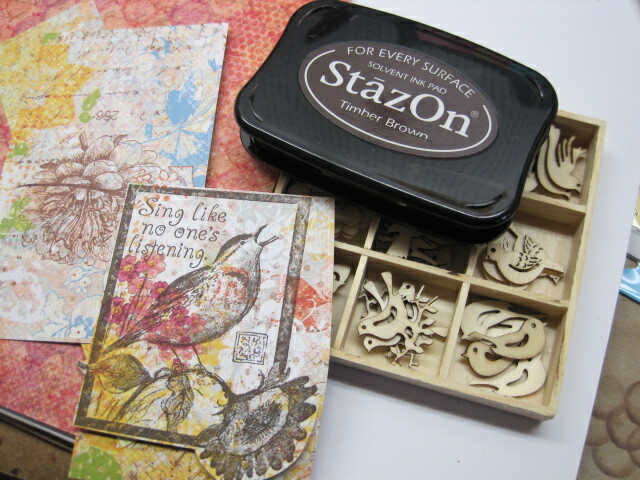 Today is the last day of Walnut Hollow’s Blog Hop with Ice Resin! 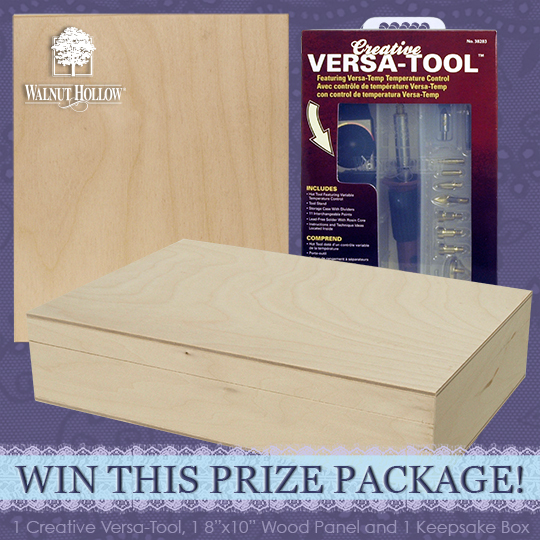 Enter to win this prize package! 1. Follow Walnut Hollow’s Blog. 2. Like Walnut Hollow on Facebook. 3. Follow Walnut Hollow on Twitter. Please leave comments on our posts and let us know what you think! The winner will be selected on Wednesday, January 29. My friend, Cheryl, says this and it is so true! 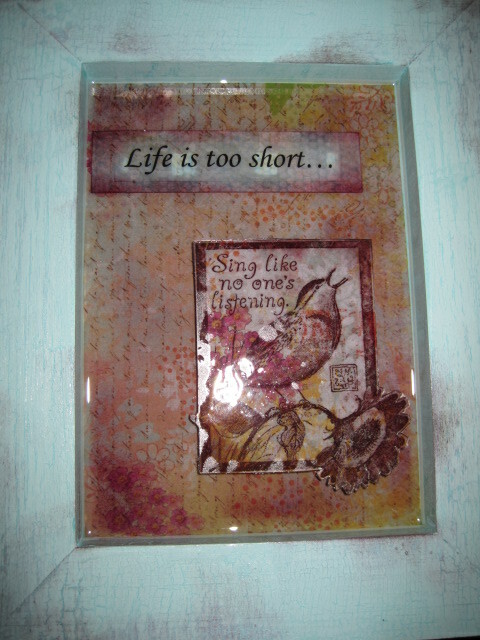 I thought about her as I created this fun project for our Blog Hop with ICE Resin. 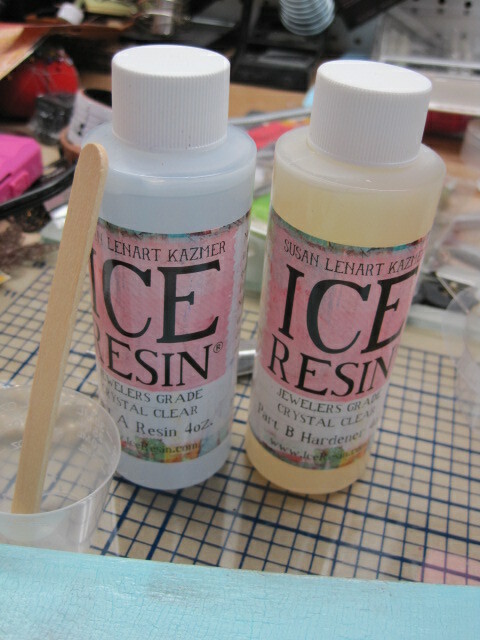 I’ve only used ICE Resin products for a short time, but they are so easy to use and you don’t need to be an expert or be afraid to jump in and give them a try. There are great instructions for the products on their website (http://www.iceresin.com/how_to/), so check it out and just do it! 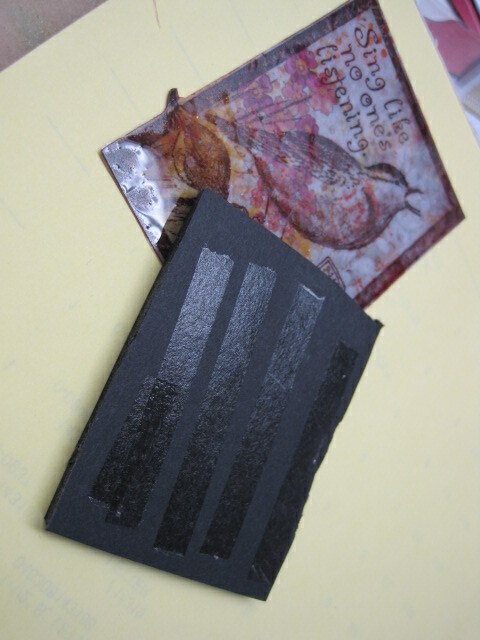 I did view their instructions about using ICE Resin on paper because I was using paper in my design. 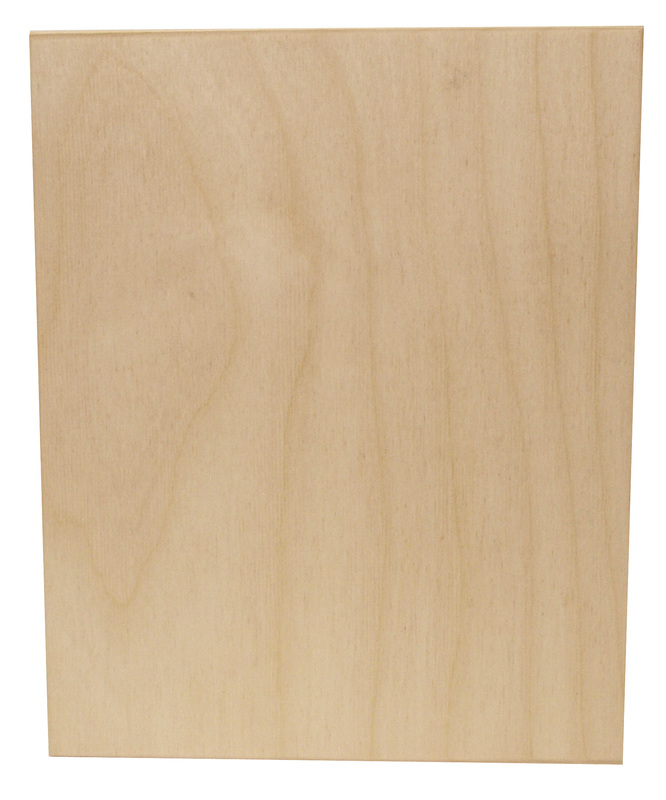 Our Wood Panels are reversible. I chose to use the back side so my piece would be “framed”. 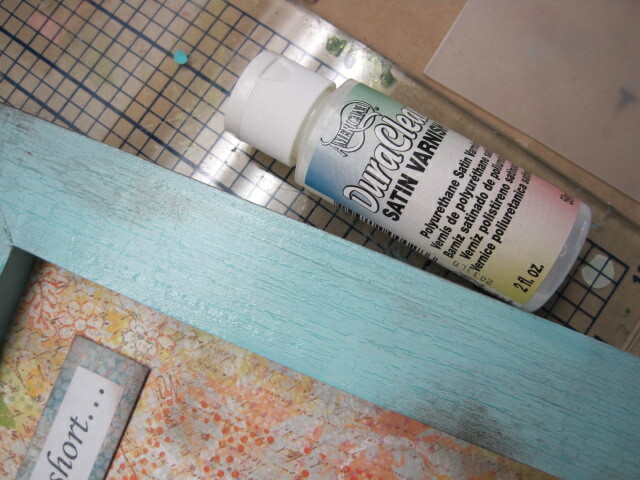 After the basecoat was dry, I followed the instructions on the back of the Weathered Wood bottle and applied one even coat to the piece. 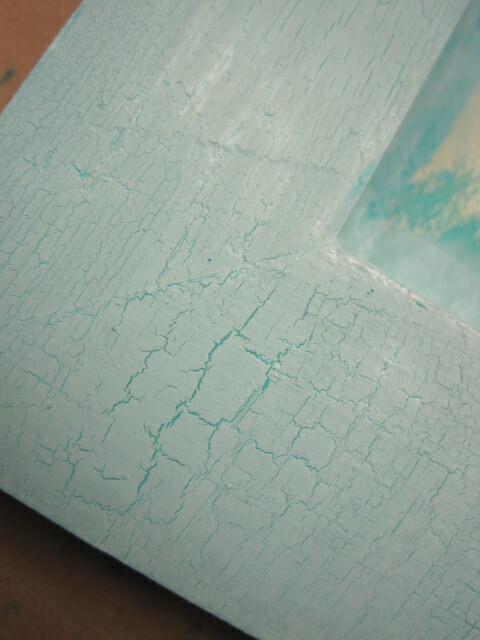 When the Weathered Wood was dry, I applied the top coat of Spa Blue and watched it crack! 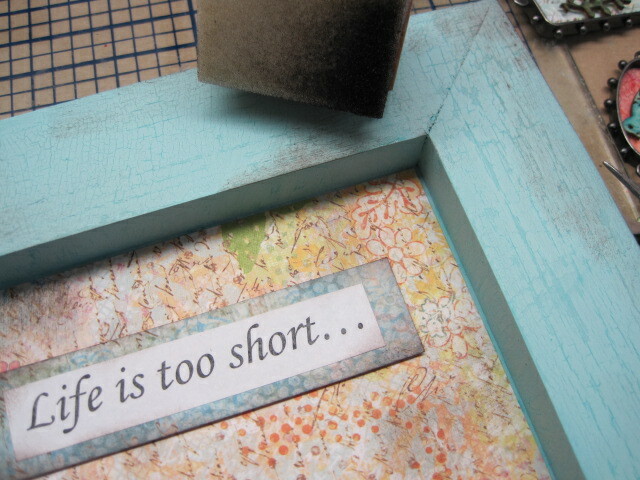 I didn’t glue anything yet, but laid the papers inside so I could see where I wanted to antique the papers and the frame using Staz-On Timber Brown Ink. I added Ink to the Prima flower so it would look a little tattered also. 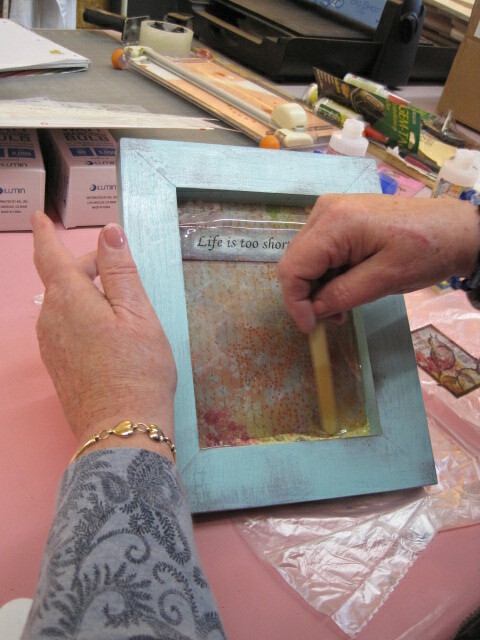 Once the ink was dry, I varnished the frame with DecoArt DuraClear Satin Varnish. I used a large brush and was careful to quickly varnish by laying down one medium coat of varnish so I wasn’t continually brushing back and forth on the crackle. 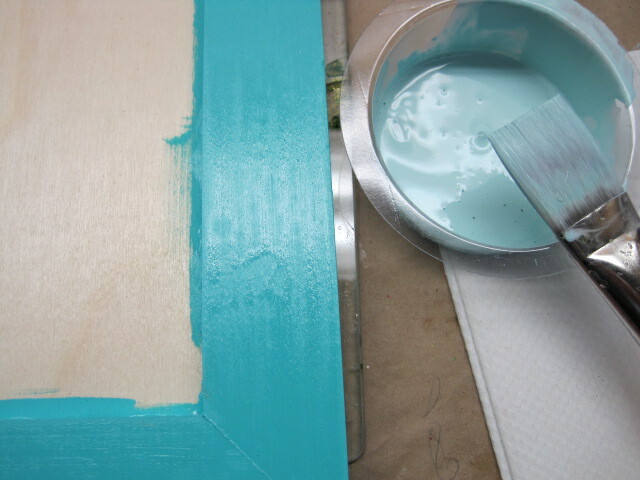 If you keep brushing the varnish over the crackle, you can re-activate the process – you don’t want to do that! 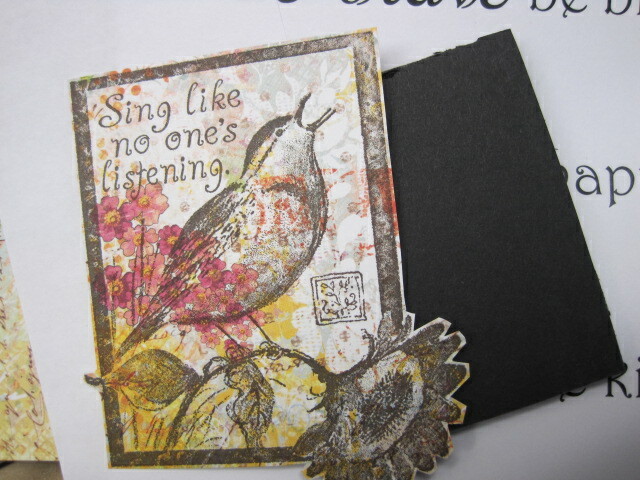 I used a rubber stamp (Sing like no one’s listening by Susan Winget – Inkadinkadoo) and Timber Brown to stamp the image. I used Fiskars scissors to shadow-cut the stamped imaged and to cut a piece of foam core board to use later on the back of the image to add a raise layer inside the frame. 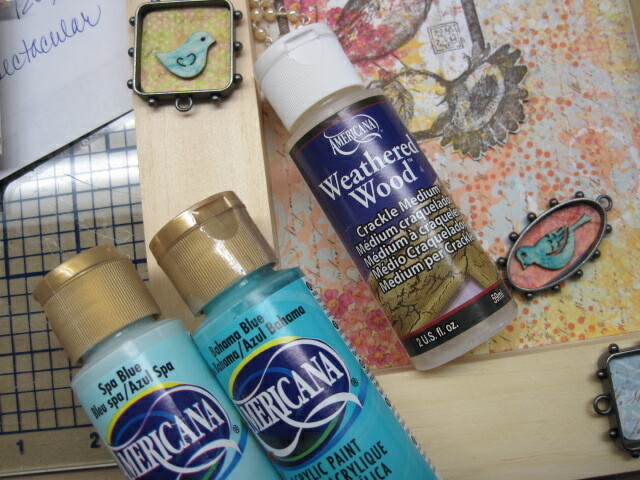 I used three small wooden birds by Prima Marketing (http://www.primamarketinginc.com/) and added color with Staz-On Teal Blue and Olive Green using a cotton swab. 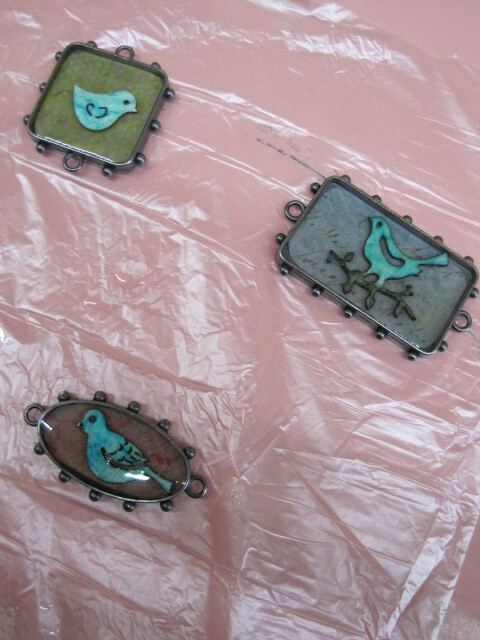 These birds fit perfectly inside the ICE Resin Bezels. 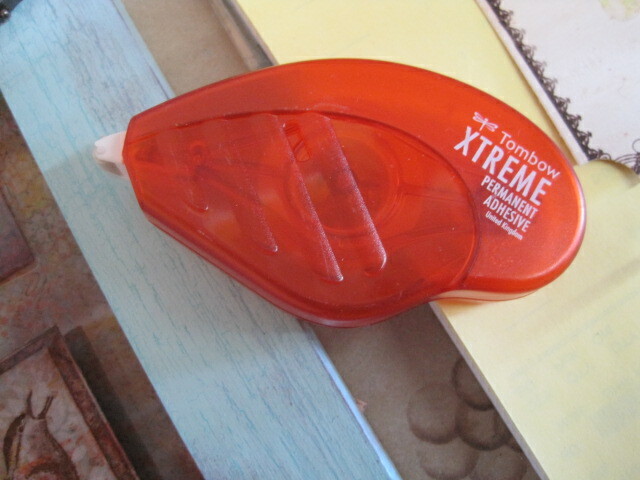 I cut a Tombow Power Tab (http://tombowusa.com/craft/adhesives/new-power-tabs.html) into four pieces and used one small piece for each bird to attach to the paper cut to fit each Bezel. I used Tombow XTREME adhesive to attach the 5” x 7” paper inside the frame and the saying onto a strip of paper and then onto the paper inside the frame. So now to the fun part……… I mixed the ICE Resin in a small cup according to the instructions. 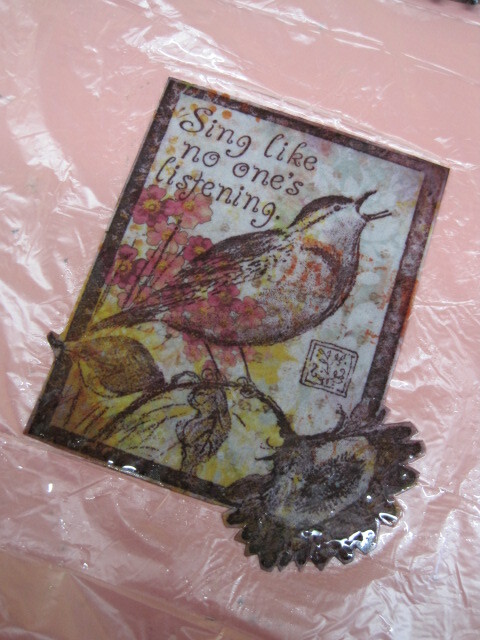 Working on a plastic bag, I used gloves and a sponge to add the Resin to the stamped image on the paper. I filled in the Bezels with ICE Resin…. 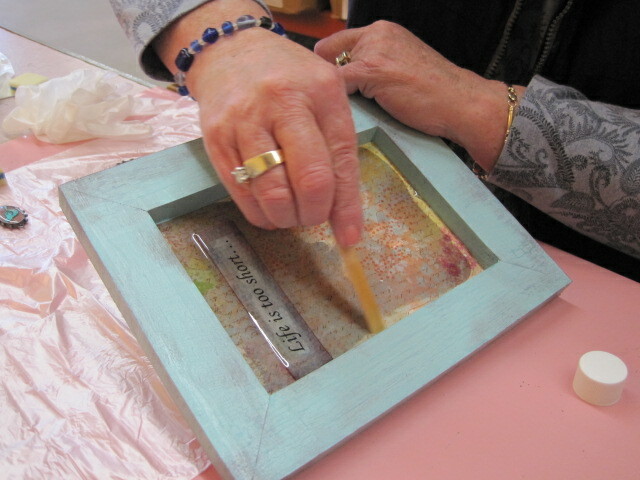 Then poured ICE Resin inside the frame and worked it all around the bottom covering everything and let it soak into the paper. Everything covered in Resin was able to dry over the weekend. 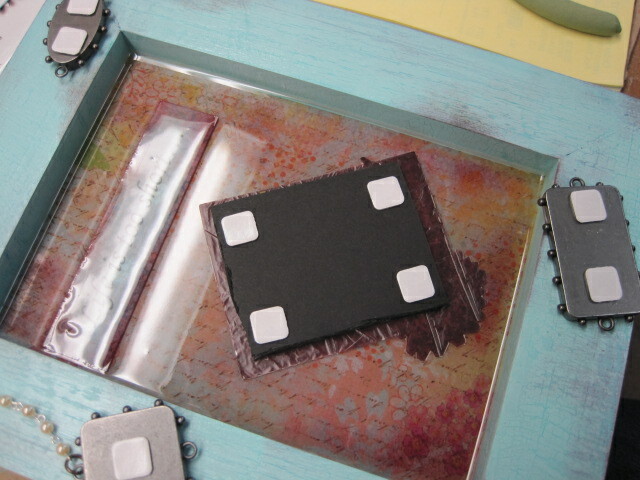 To prepare everything to attach to the frame, I used Tombow’s XTREME Adhesive to attach the Resin-covered paper to the foam core and Tombow Power Tabs to the back of the foam core board and each Bezel. 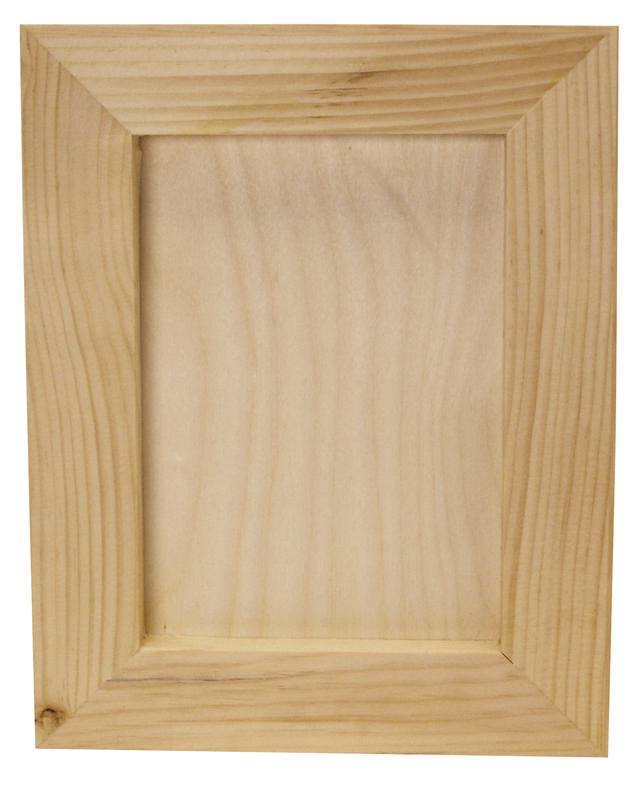 The stamped image was placed inside the frame. 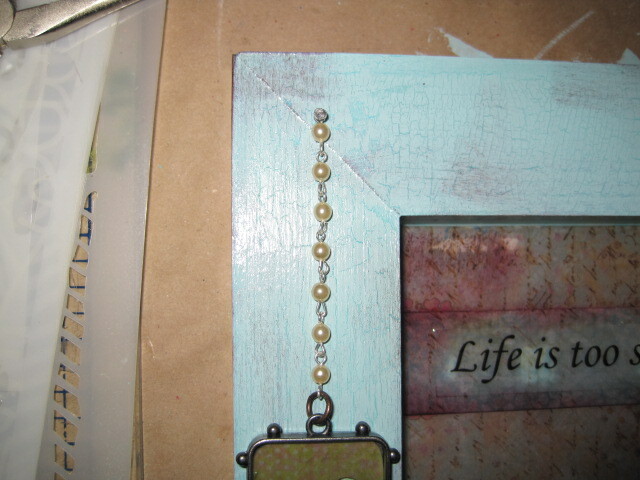 I really like the pearl chain ICE Resin has and I attached the chain onto the Bezel on the far left then cut the chain the length I needed and nailed it with a small nail to the frame. Adhere the Bezels and flower in place and it is complete. Thanks ICE Resin – we love your products! Now go see what Candy Rosenberg created! This is gorgeous! 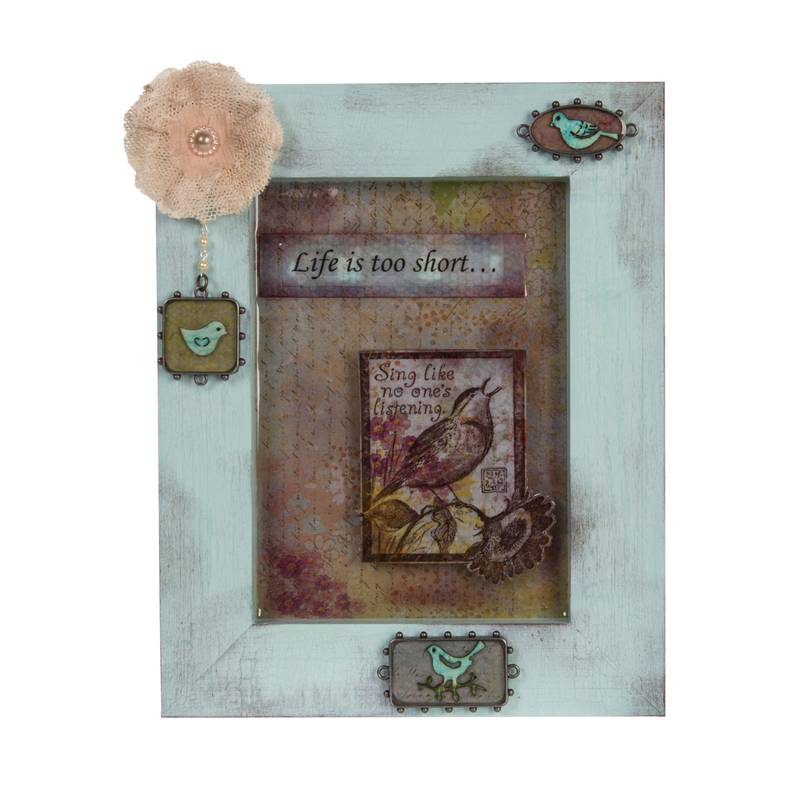 Love your color palette and the sentiments are perfect! Thank you for the easy to follow tutorial! I am going to have to give this a try!! TFS! Would love to be the lucky winner of these awesome Walnut Hollow products!!! Great project! Love how you used the back so it looks like a shadow box! This is my favorite project so far. I AM a singer so this project spoke to me (or should I say sang to me). lol I have a few shadow boxes that have been waiting for just the right project and I think this one will do just fine. Thanks for sharing another great idea! What a great piece! Great idea to make a frame. 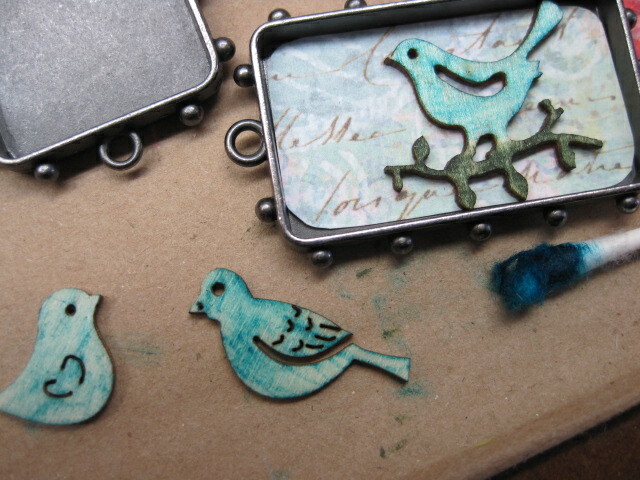 I love the addition of the birds in the bezels. Big bird fan here! Love! Positively darling! Love the sweet blue birds! Gorgeous, gorgeous project! Love the birds, too! Very nice!!!! I really like seeing these projects and how they were completed. Beautiful, nicely framed, (best part) bird picture! With a great saying even. 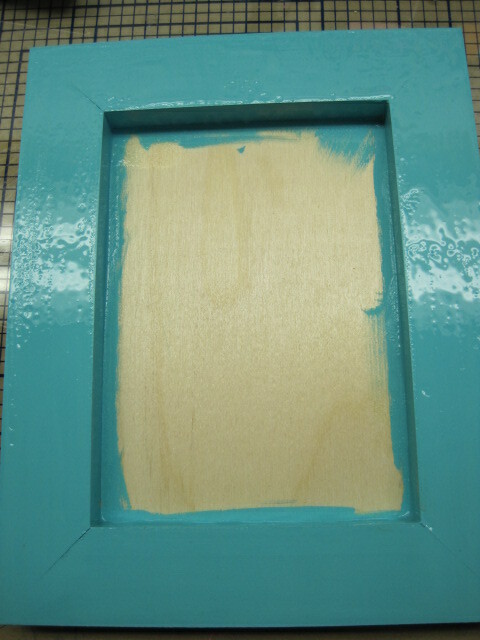 I’ve never tried to make a project where even the frame needed to be painted. You made it look fun and easy. Thanks for sharing. I love this project! Colors are gorgeous! I’m a loyal blog and FB follower. Pretty please count me in for your amazing giveaway! Thanks!